We employ a patient and family-centered approach that is team-based and collaborative, with a focus on disease prevention and management. Our aim is to assist patients in maximizing cardiopulmonary function as they transition through each phase of rehabilitation, by using enhanced communications and by delivering care over the full spectrum of therapeutic disciplines, cardiopulmonary rehabilitation specialties, and community agencies. We work closely with the surgeons who have performed your operation and are familiar with your individual plan of care. The team works with the patient to identify their medical rehabilitation needs and treatment goals. Based on these individualized objectives, the cardiologist collaborates with the rehabilitation team to develop and execute a plan designed to help the patient achieve the best possible outcome. Our cardiopulmonary rehabilitation program is patient and family-centered, as well as team-focused. Under the leadership of the attending physician, patients and family members work with a multidisciplinary team. 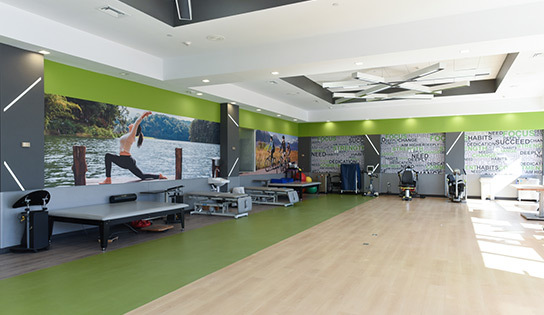 Depending on the patient’s needs, this team may be comprised of professionals from the departments of Rehabilitation, Nursing, Social Work, Occupational Therapy, Physical Therapy, Speech-Language Pathology, Psychology, Nutrition, Therapeutic Recreation and Creative Arts Therapy. Optimize the patient’s medical condition. Provide patient with an individualized home exercise program that the patient can implement themselves, using target heart rate and a rate of perceived exertion (RPE) scale to guide their effort. Maximize functional independence through a focus on performing activities of daily living and maintaining mobility in the household and the community, with and emphasis on energy conservation, pacing, and task simplification. Improve the patient’s confidence and quality of life. Perform a psychological evaluation to identify behavioral changes resulting from the illness and to assess the patient’s emotional support network. Educate the patient on medication management as well as strategies for reducing risk factors and preventing illness in the future. Help the patient start a lifestyle modification program; depending on the patient’s needs, the goals of this program may include quitting smoking, losing weight, and taking steps to control diabetes, high cholesterol and hypertension. Establish an appropriate discharge plan for a return to the community.